Please direct any questions about entries to Devlin Murdock at devlin@recoveryonwater.org. This is NOT your parents' indoor erg race. 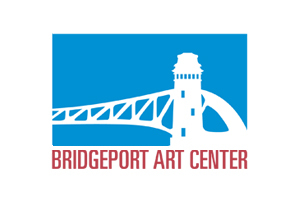 Conveniently located at the Bridgeport Art Center, this indoor regatta will help inject a healthy dose of fun, competition, AND community into your winter training routine. Athletes will test themselves and their winter training in our individual 2,000 meter event. Or they might come together with four (4) of their teammates to compete against other five-person teams in our 2,500 meter sprint relay. Our final two options are perhaps the most interesting and unique. The Winner Winner Chicken Dinner Bracket Challenge is a head to head Henley-style doubles race that will offer two types of racing to choose from: stationary and mobile. The stationary option is exactly that, with partners racing 1,000 meters in "boats" head to head against another "boat". The mobile option will be similar to the stationary race in length and format, the difference being that all the ergs will be on SLIDERS! That's right, in pairs, athletes will not only have to combine power but also rhythm and timing to best their competition and move their way up the bracket. The final pairing in both the stationary and mobile doubles races will race 1,000 meters not just for a first place finish and a medal, but also the right to say "they came, they saw, they kicked 'cluck!'" NOTE: Doubles events do not have a mixed option. The categories for the stationary doubles event are Men's Junior, Men's Open, Women's Junior, Women's Open. For the mobile doubles event it is limited to Men's Open and Women's Open categories. Events will be divided into Open and Juniors, and men and women within each of those. Come with your team or on your own, there's no affiliation necessary.